Hello everyone and welcome to 2018! This newsletter has been delayed because we have some very – VERY exciting things in the works. My long-time friend, world-renowned insect collector Dan Capps, will be joining me with his insect exhibit at Discovery World on May 12th! In all my years of being involved in the world of entomology, I have never EVER seen an exhibit that even compares to it. The Capps exhibit was once the world’s largest private collection. It has even been on display at Epcot Center! 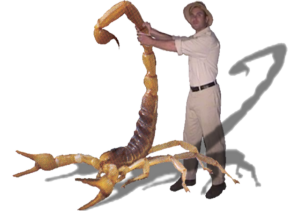 Dan will be exhibiting 21 tables of displayed insects… and that is only part of his collection! I am absolutely thrilled to bring this exhibit to Discovery World. More about the Capps collection as the day gets closer. 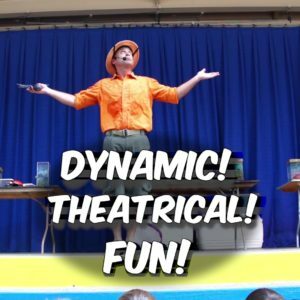 Next show at Discovery World is February 10th at 11:30 am. · We will be giving away another wonderful Creature’s Kit from Zoo Med. 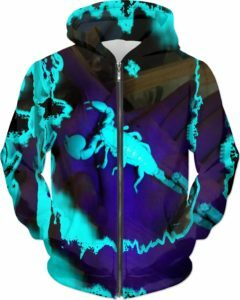 · Anyone wearing one of my “creepy t-shirts” will get 5 extra raffle tickets! · Everyone will receive a Science Diary, printed by Wetzel Brothers. 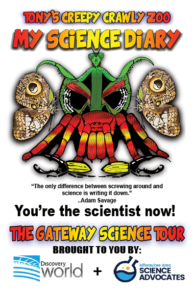 As many of you know, the whole reason the Creepy Crawly Zoo is on tour again is because of the Gateway Science Center. Many of you have asked how you can help to make this place a reality. While monetary donations are always appreciated, the following is a list of things you can do. Most of these suggestions do not require much effort on your part, but they are of enormous help to me and the Gateway Science Center mission. 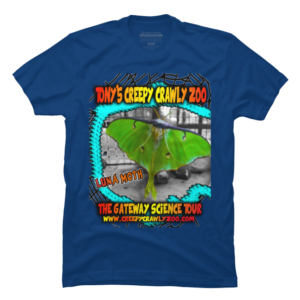 · Tell a friend, teacher or librarian about the Gateway Science Center, our live show, T-shirt store, Discovery World shows and YouTube channel! If you tell two friends and they tell two friends and so on and so on – well, you get the idea. You can tell someone in conversation or spread the word on social media. When posting about it please include a few words of endorsement. That makes a big difference. Over the last two decades with the live show, 95% of my business has always been word of mouth. You, the people, have always been the reason this show endured. · Subscribe to our Youtube channel. This year we will be releasing new episodes in TALES FROM THE BUG WHISPERER. 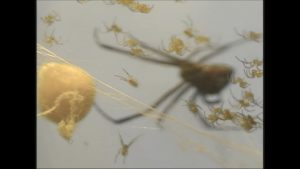 Episode 1, Who Wants to be an Entomologist?, was released in 2007 as a DVD. It went on to receive 5 international film festival awards. You and your kids can now watch it for free on YouTube. Our goal is to reach 1000 subscribers. · Write a blog. If you or anyone you know has some creative writing skills, a blog about the Gateway Science Center project would be of enormous value. So valuable that we have offered our customers a $75 discount off a live show for this. · Become a sponsor. If you have a business and would like to become a sponsor, please message me and I will send you information about what I can do for you. 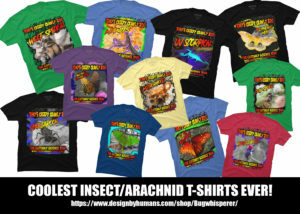 While the Creepy Crawly Zoo is currently not a non-profit organization most of our clients are. You can make a donation to a school or schools for our visit. 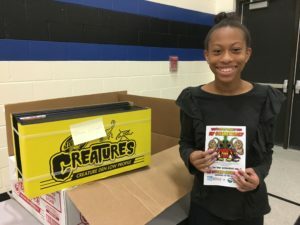 This helps out schools and you or your donation is tax-deductible. If you have any other suggestions I am always willing to listen. Sadly, Clyde, the Desert Hairy Scorpion, passed away last week. In 2009, Clyde volunteered for the Creepy Crawly Zoo, when crawled under my door. I was living in Tucson at the time. He will be missed. R.I.P. Clyde. This month’s Creepy T-shirt winner is: Vanessa Kim! Thank you very much for subscribing to this newsletter. This is our first and we would love to hear suggestions from you on what you want to hear from us.